Tramlines Festival announces best line-up yet! Once again proving itself to be a musical feast, Tramlines Festival today announces a second wave of acts to play its celebratory 10th edition, including Clean Bandit, Mystery Jets, Rat Boy, Milburn, Everything Everything, Shed Seven, The Big Moon, Nina Nesbitt, Lewis Capaldi, Fickle Friends, High Hazels and Oddity Road. Taking place at the new location of Hillsborough Park in Sheffield from Friday 20th – Sunday 22nd July 2018, the worlds of indie, rock and roll, garage, rap, pop and hip hop all collide when these acts join the previously announced headliners Stereophonics, Noel Gallagher's High Flying Birds and Craig David’s TS5, plus Blossoms, De La Soul, Jake Bugg, Reverend And The Makers, Stefflon Don, The Sherlocks, Mabel, and tons more in its biggest lineup yet. 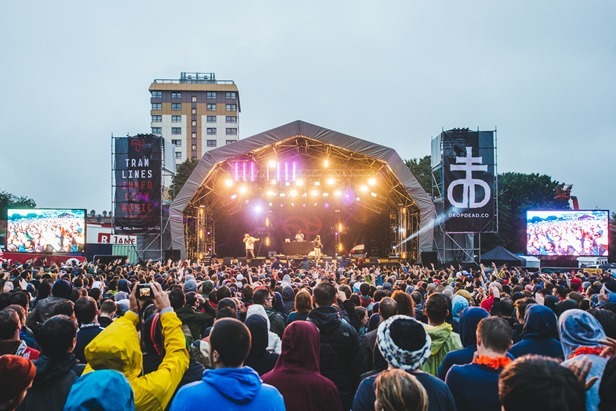 This special instalment of Tramlines comes with more festival-style entertainment than ever over four stages including a comedy lineup, pop up cinema, family area, and a brand new Leadmill Stage. The whole of Sheffield will be in party mode when they come together for this momentous version of Tramlines.